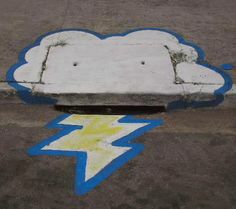 The LoMo Environment Committee would like to announce our new initiative, the Storm Drain Art Project! Many people don’t realize that most storm drains connect to local streams that then flow into larger rivers like the Delaware. Our goal is to educate residents about this connection and encourage behavior change, resulting in less trash and pollution entering storm drains and our waterways. 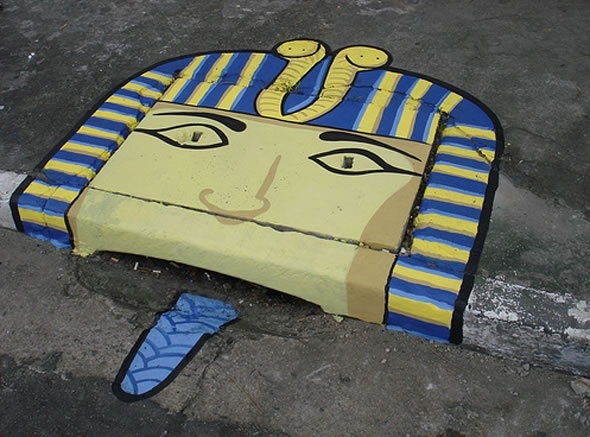 This will be accomplished by hiring local LoMo artists to decorate a selection of our storm drains with fun and educational imagery. Our hope is that this will make litterers think twice before throwing trash into our storm drains. A large group of people attended the meeting held at AmeriThai Restaurant on December 3 and the discussion was lively. Chris Anderson, Community Planner at the Water Department, gave a presentation while we all chowed down on delicious Thai food. He explained that the Water Department is quite willing to work with us on this project. In response to questions, Chris explained how the storm drains work. Trash placed in the storm drains will be filtered out by the water processing plant. However when there is heavy rain, the pipes cannot handle the volume and the dirty water is discharged to an outfall pipe. The end result of these discharges is that the rivers become degraded and stream banks are eroded. The Water Department has chosen to handle this issue by constructing many individual storm water management projects. We are only in the beginning stages of this project and we welcome new participants that want to be involved. Are you an artist or designer living in LoMo that would like to help out? Do you have experience with paint, concrete, stencils or storm drains? Do you have a fabulous idea for how to make this project a grand success? Please contact Rachel Cox at racheljcox@gmail.com if so.